With Jarltech, large projects do not automatically lead to stress during system installation. 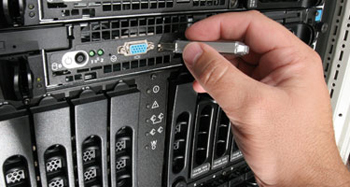 On request, we will install and configure systems, PCs and single devices according to your wishes before shipping. This can be the installation of your own disk images, installation of POS software onto a touch screen system, re-labelling of devices (like receipt printers or scanners) with your own labels, configuration of handheld devices or simply the installation of Windows on a PC. Then, we send them to you or directly to your customer. Your technicians do not have to spend hours on configuration anymore – all they have to do is to deploy the hardware to their desired location. Especially with large orders, our attractive installation service saves you enormous amounts of time and personnel expenses. Furthermore, you and your customers gain additional assurance that the acquired system does indeed work as desired, as Jarltech examines all hardware components thoroughly during configuration for possible defects and damage. Defective devices are combed out immediately. We will gladly provide you with more information on how we can increase your efficiency – simply contact your Jarltech representative in our sales department! Use of your own labels, etc.